The School Year usually starts on the second Sunday of September. For more information, please download the school calendar. Enrolment usually starts in June. The enrolment form will be available in late May. The minimum age for studying at the school is 5 years old. This is to inform you that the annual general meeting (AGM) for 2019 is to be held at Room A201, St. Paul's Catholic School between 12:15pm to 13:30pm on Sunday 31st March 2019. Voting will take place between the hours of 10:30am and 12:00pm at the main entrance of Block B. The ballot box will then be moved to Room A201 at 12:15pm, and voting will continue until 12:30pm. 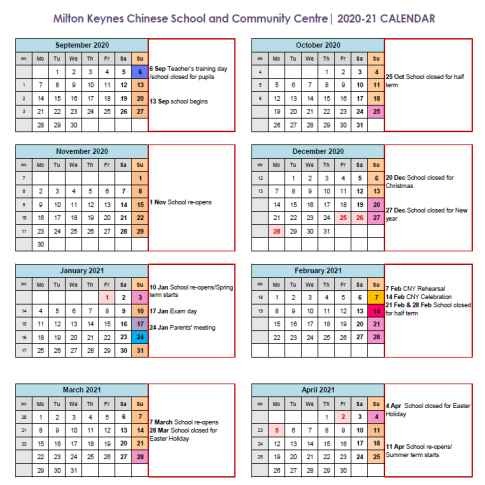 As a member of Milton Keynes Chinese School and Community, it is your right as well as in your interest in participating in the ballot and attending the AGM. The AGM documents (chair report, financial account, candidate statement and last AGM minutes) will be available on the day.